Deep River is a town that dates back to 1635, with a history that is rich and filled with intrigue. Sloops and schooners were built here. They sailed to Africa and back, returning to Deep River with curling ivory tusks for the town’s burgeoning business in the manufacture of combs and piano keys. They also sailed to cities throughout the U.S. such as Philadelphia and New Orleans to deliver locally hewn granite. Historically, Deep River is an old mill town. The former Pratt Read Manufacturing Company still exists in the form of the Piano Works Condominiums. The famous Deep River Lace Factory produced the highest grades of lace. The period homes scattered throughout the town recall an era of commerce and community that led Deep River to be called Queen of the Valley. Large-scale manufacturing has largely disappeared over the past half century, but many small businesses have taken its place. These small businesses have flourished in a beautiful community that values its small-town charm. 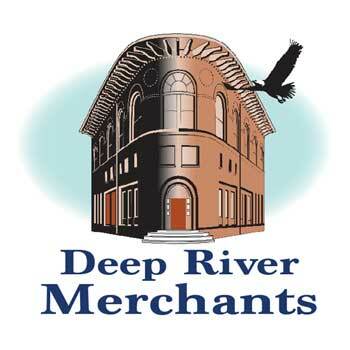 For more information about our history, visit the Deep River Historical Society website. Deep River residents and visitors know its setting on the Connecticut River makes an ideal spot for boating. The Town Landing where Kirtland and River Streets intersect has a boat launch for canoes, kayaks and boats. The Landing also provides a picnic area with a gazebo. Just as the Nature Conservancy calls the Lower Connecticut River Valley and its tidal estuaries “one of the last great places,” our unspoiled nature sanctuaries offer an array of interesting walks, hikes and biking trails for all to enjoy. Whether you live in or visit Deep River, supporting local commerce and experiencing all that our town has to offer helps to keep our small community thriving. Click here to visit our local merchants directory. For more information about our town, visit the official Deep River website.